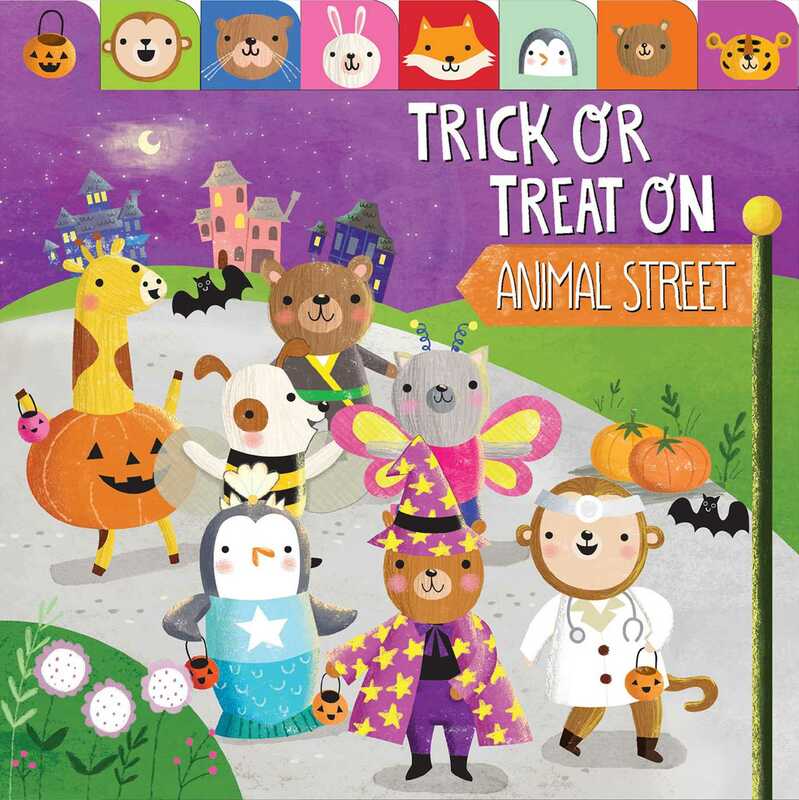 Get ready for a wild Halloween on Animal Street in this cute rhyming lift-the-flap book! Join pirate foxes, bunny ballerinas, and more on a not-so-spooky Halloween adventure. With big flaps to lift and adorable illustrations, this fun rhyming board book is festive and perfect for story time! Gina L. Maldonado is a Colombian illustrator living in the bustling city of Hong Kong with her partner and two cats. She studied architecture and interior design in Colombia, Mexico, and Italy, but decided that creating cuddly and cute animals suited her personality better. She loves to draw all kinds of animals and flowers with bold colors mixed with hand-drawn textures. When she’s not drawing she’s traveling the world, exploring exotic places and taking pictures of animals.